British literary journal Panorama: The Journal of Intelligent Travel has picked Troy Onyango to be the fiction editor for its Voices of East Africa edition. Panorama: The Journal of Intelligent Travel is a British literary journal, with a modern focus on travel literature, art, and photography. The journal which is relatively new in the journal industry has had a few issues with writers from all over the world featuring. Its most recent edition has the writing talents of Scott Thompsen, Christopher Woods, Ania Payne, Jacob William Cox, Kristin Winet among others. The journal announced Troy Onyango as its Fiction Editor of the special print edition, Voices of East Africa, which will feature the travels of East African and East African diaspora writers. 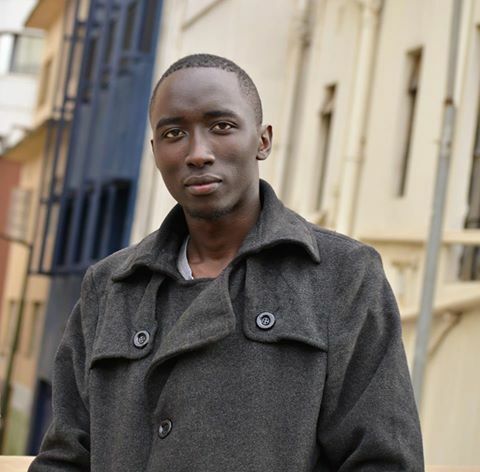 Troy Onyango’s writing has featured in many spaces. His short story For What Are Butterflies Without Their Wings? won the fiction prize for the inaugural Nyanza Literary Festival Prize. His short story ‘The Transfiguration’ was nominated for the Pushcart Prize while his (unnamed) manuscript was shortlisted for the Miles Morland Foundation Scholarship 2016. Troy isn’t just a writer. He is a Founding Editor of Nairobi-based literary magazine Enkare Review which has been making wakes since it was set up a year ago. He’ll be working with Print Editor, Ellie Cobb, and senior editor, Richard Oduor Oduku. We’re announcing the rest of the team in the coming weeks. Richard Oduor Oduku, one of the founders of the trailblazing Jalada Collective, is Panorama’s nonfiction editor. So what’s the story with this special issue? It is Panorama’s first print edition, one of a series, emphasizing encouraging travel literature in certain areas of the world starting with Voices of East Africa. This is an opportunity for you if you were born in East Africa Writers as you get to submit travel themed poetry, fiction, or nonfiction about traveling exclusively in the East Africa region. The issue comes out in August 2018, and will launch from East Africa.